Out of all the things that were really great about Stranger Things Season 2 (and all the things that didn’t really work — and looking at you, Episode 7), the only thing that truly bothered me was the fact that Eleven is so, so mean to Max. On one hand, Eleven’s actions are totally justifiable, because she has been secluded in the woods for the past year, away from her friends, and even before that, she was housed in a lab. For as smart and strong as Eleven can be, she is, unfortunately, lacking some learned social skills. This makes sense. On the other hand, it’s a week later and I’m still quite flabbergasted that Eleven would simply ignore Max’s outstretched hand and brush right past her during their first meeting. Has this kept me up at night, as I lie in bed thinking about the fact that Eleven and Max aren’t friends right now and I need them to be friends? Maybe. But thankfully, I guess I can now start sleeping better at night, because Matt and Ross Duffer, the Stranger Things creators and showrunners, have promised me that these two won’t be at odds forever. 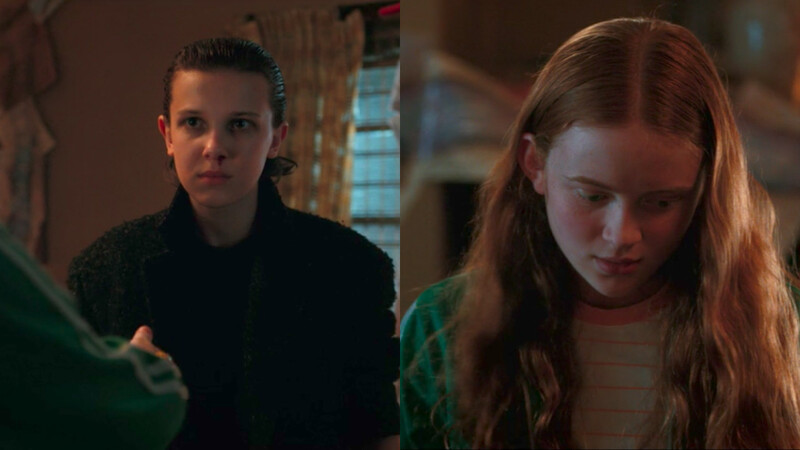 For all those who need a really good strong, female friendship in Stranger Things, that’s hopefully coming down the road. “We want to let her loose in Season 3,” Matt finishes. But let loose in a way that, like, she and Eleven hit the streets and really see what this duo is capable of when they work together to save the day? We’ll just have to wait and see. And until then, I’m in for so many peaceful sleeps knowing that this is just the start of Eleven and Max’s beautiful friendship on Stranger Things.